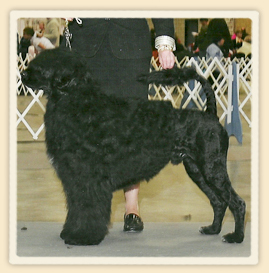 On this page you will find a collection of show dogs which will permit you to discover a wide variety of Portuguese Water Dogs illustrating different type of coats, trims, sizes and colors. 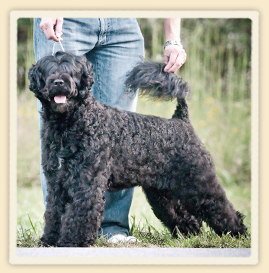 The majority of dogs on this page are from the Sevenbeauty family.Others come from friends’ kennels with whom we have had the pleasure to collaborate with over the years in Canada and United States. 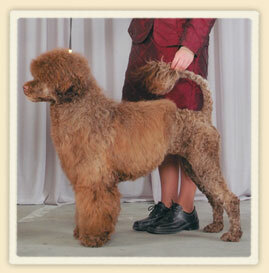 Canadian Champion He won an Award Of Merit at the Westminster Kennel Club show in February 2011 in New York City. 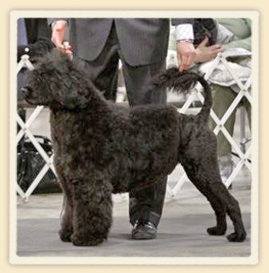 He also won the Working Herding Specialty in August 2012. 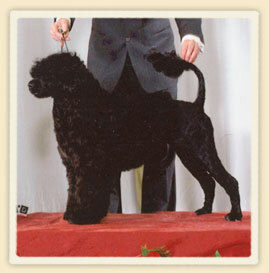 Canadian Champion, Sappho is the mother of Thea, Chronos and Nic. 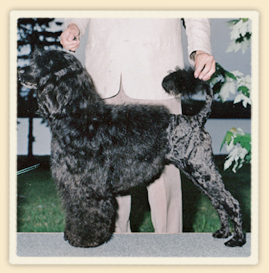 American Canadian Champion Winner of the puppy sweepstake at the first Canadian National Specialty in October 2000. 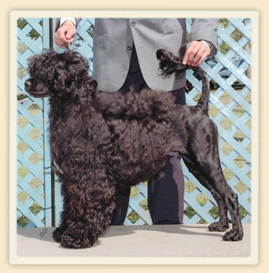 American Canadian Champion First Canadian bred Portuguese Water Dog to have won an all breed Best In Show in October 1997. 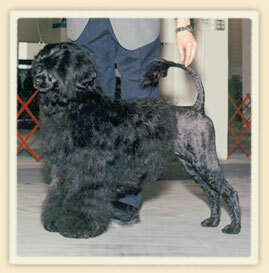 George has been a rare one to have been able to win in both retriever and lion trim. 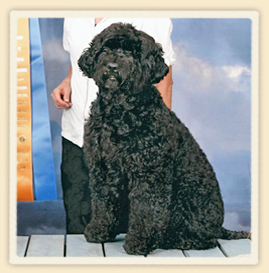 Gracie is the foundation of Sevenbeauty. She is the mother of George, Whoopi and Nyssa. 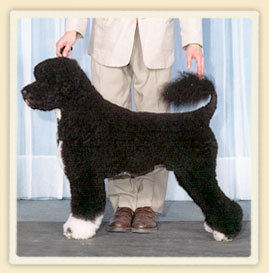 American Canadian Champion Winner of many groups ended the year 2006 as number 3 PWD in Canada. 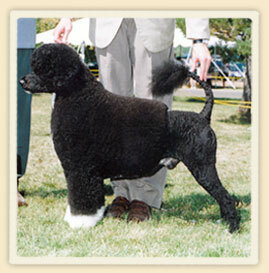 American Champion, Nic is the brother of Thea & Chronos. 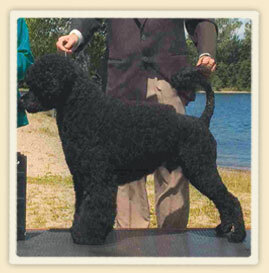 Canadian Champion, Sapphire completed her championship in style by placing in the Working group.